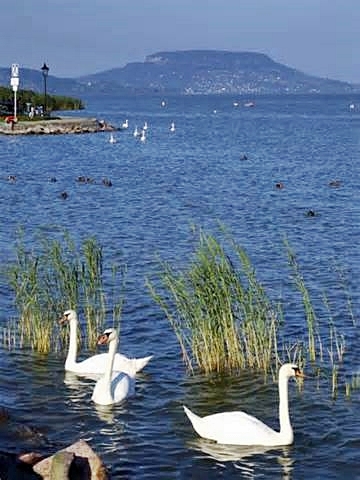 Hungarians refer to Lake Balaton as the “Hungarian Sea”. It’s a 50 mile long lake in the Transdanubia region west of the Danube River. As the train from Ljubljana to Budapest passed by the lake it seemed to go on forever. Yesterday I decided to take a day tour and get a closer look. The lake is about a two-hour drive from Budapest. The Transdanubia region is a series of hills and highlands with forests and rich agricultural areas. It has some of the densest and greenest forest I’ve seen. 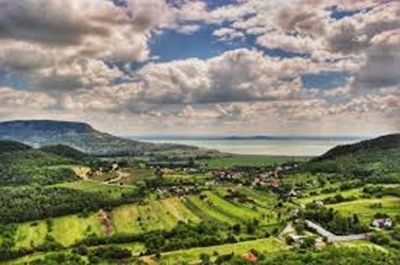 The Lake Balaton area is known for its beautiful vineyards and excellent wines. Our tour stopped in Siófok on the southern side of the lake. Siófok is Lake Balaton’s “party town” and has many beaches and parks. Its port serves the boat routes on the lake. 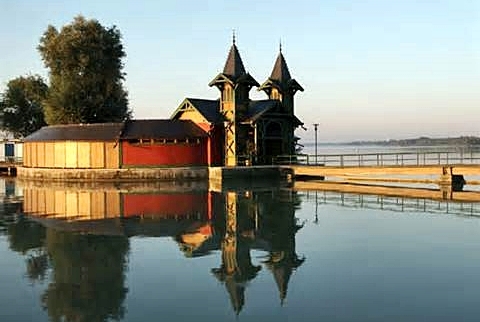 Keszthely is the oldest settlement of Lake Balaton. It was an important hub of commerce in Roman times. 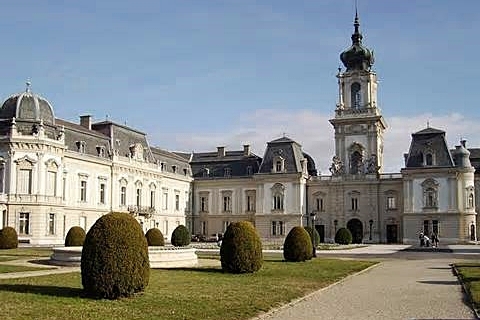 One popular Keszthely attraction is stately Festetics Mansion with its ornate wrought iron gate surrounded by an English park with 400-year-old chestnut trees. 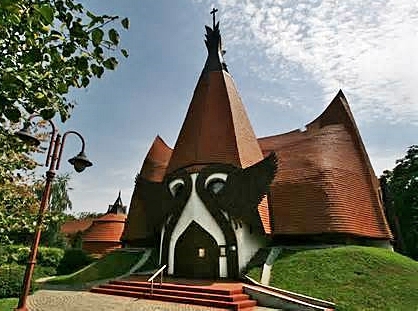 The Balaton Museum has information about the lake’s formation, flora and fauna, and history, including archaeological memorabilia. You can also see camels, water buffalo, and zebras roaming along Lake Balaton! They’re part of the Safari Park and Africa Museum established by Endre von Nagy, a Hungarian explorer and hunter. It was a long day and the last group tour I’ll take for a while, but visiting Lake Balaton was a special experience. Tomorrow I’m headed to Salzburg, Austria via train. This entry was posted in Hungary and tagged Balaton Museum, Budapest Hungary, Danube River, Endre von Nagy Hungarian Explorer and Hunter, Festetics Mansion Keszthely, Hungary Transdanubia Region, Keszthely Hungary, Lake Balaton Hungary, Siófok, Siófok Hungary by suemtravels. Bookmark the permalink.